On a hazy day in early February, some of the most powerful men in India’s government gathered at Chhatrasal Stadium in New Delhi, an arena famous for its boisterous wrestling bouts. The men had come for a different kind of spectacle — a biographical film epic, whose initial episodes (out of 57 total) would be shown for the first time that evening. At the center of a makeshift stage, surrounded by smiling politicians and cabinet members, was the person whose life was being celebrated: a slender figure in saffron robes with a long, dark beard, his chest-length hair tied in a bun. He needed no introduction. This was Baba Ramdev, one of the most famous men in India. Last week the White House ordered its top diplomats to seek direct negotiations with the Taliban, the latest foreign relations about-face from an administration that seems to be specializing in them. After early escalation and record-setting bombs , President Trump is looking for a way out of Afghanistan. 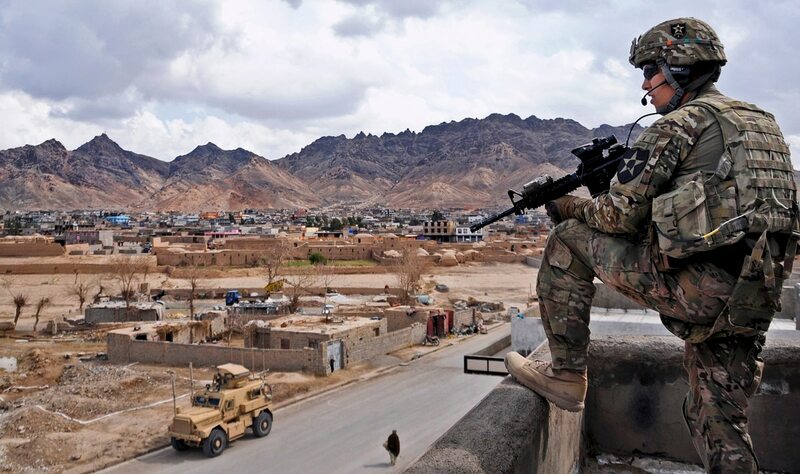 The Taliban is far from defeated, but negotiations may offer America a means to ending our participation in an intractable war in an irrelevant country. Earlier this month, during a surprise trip to Kabul, Secretary of State Mike Pompeo made the claim that the Taliban “cannot wait us out.” Evidence suggests otherwise. KABUL, Afghanistan — About half of Afghanistan’s population — around 33 million — is young enough to have never seen a day of peace. The milestones of their young lives have been marked by loss and violence. For 38 years now, peace in my country has remained a dream, a prayer on our lips. On June 15, on the festival of Eid, our prayers were answered. A few days earlier, as the month of Ramadan was coming to an end, almost 3,000 Islamic scholars convened in Kabul and issued a fatwa reminding us that the quest for peace is a commandment of Allah and a national imperative. They requested the government to declare a cease-fire. China continues to steal intellectual property and trade secrets from U.S. companies for its own economic advancement and the development of its military but “at lower volumes” since the two countries forged an agreement in 2015 meant to curb the practice, according to a report published Thursday by American intelligence agencies. The assessment, which also incorporates the findings of private sector security experts, comes amid roiling trade tension between the U.S. and China that has spawned dueling tariffs on billions of dollars worth of goods. It is unlikely to quell concerns from the White House that China continues to pose a significant threat to American companies. Protest as it may, Beijing is well know to have stolen technology from a number of nations including Russia and the United States. The People’s Republic of China is forcefully denying that it steals dual-use technologies and intellectual properties from other countries such as the United States to advance its military capabilities. Beijing is also denying that it poses a nuclear proliferation threat around the world. Responding to U.S. assistant secretary of state for international security and nonproliferation Christopher Ford’s statements accusing China of illicitly obtaining advanced American technologies through means such as civil nuclear cooperation for military purposes, Chinese Foreign Ministry Spokesperson Hua Chunying forcefully denied the allegations. Only the Chinese could turn an acronym into a trading bloc. On Wednesday, the BRICS summit will get underway in Johannesburg and top of the agenda for Brazil, Russia, India, China and South Africa will be rising worldwide trade tensions. While this is a gathering of equals, the economic muscle of Beijing will be behind most of the crucial decisions, which will filter through from the three-day talkfest. Major players such as China’s President Xi Jinping, India’s Prime Minister Narendra Modi and Russia’s President Vladimir Putin will probably take center stage. So, it appears, will United States President Donald Trump, who will be more than 13,000 kilometers, or 8,077 miles, away in Washington. Following a swing through the United Arab Emirates, where he signed more than a dozen deals to strengthen cooperation, Chinese President Xi Jinping’s Africa tour is already making headlines. On Sunday, Xi began his two-day visit to the West African nation of Senegal with a milestone for his flagship Belt and Road Initiative. The ambitious web of infrastructure and economic development investments, which aims to deepen connectivity between East, Southeast and Central Asia, the Middle East, Africa and Europe, now for the first time officially stretches to the Atlantic Ocean on the continent of Africa. “Noting that the two countries should strengthen the alignment of development strategies and policy communication, Xi welcomed Senegal to be the first West African country to sign a Belt and Road cooperation document with China,” Chinese state media reported. 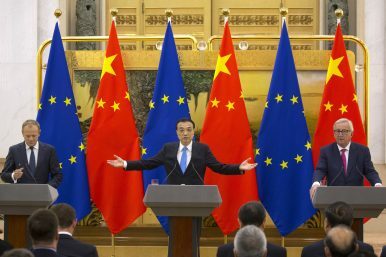 Can US Isolationism Boost EU-China Relations? Lessons from the 20th EU-China Summit. The “fluid” nature of the contemporary global order has been discussed for quite some time. However, the new U.S. administration has been adding significant depth and speed to this fluidity, combining a withdrawn, isolationist approach to global governance with – more recently – what many commentators have referred to as an outright disruptive (and potentially destructive) one. As the “traditional” steering power veers toward disengagement, the possibility of a “power vacuum” in global governance becomes more and more likely, and this presents major players such as the EU and China with both opportunities and challenges to step up their role. Israel has long been wary of Iran’s power projection in the Levant, particularly in Syria. Ties between Tehran and Damascus have been close since the 1979 revolution, but the relationship deepened after Syria’s civil war erupted in 2011. With the Assad regime’s survival at stake, Tehran doubled down on its support, providing critical military assistance—fighters and strategists—and economic aid estimated to be in the hundreds of millions of dollars. Syria and Iran now have a partnership with existential stakes—for the Assad regime’s longevity and Iran’s enduring position in Syria, the most strategic property in the Levant. USIP’s Mona Yacoubian looks at Iran and Israel's goals and concerns in Syria and the potential of their shadow war spilling over into a regional conflagration. The so-called “Arab Spring” and subsequent mass-protest-driven developments in the Middle East as well as across the post-Soviet space have alarmed Russian military strategists. In Moscow, the notion of “hybrid warfare”—which, in the Russian reading, represents a combination of coordinated military and non-military measures (Voenno-Promyshlennyy Kurier, February 26, 2013; March 7, 2016)—came to be associated with forceful regime change via externally sponsored public discontent in the form of “color revolutions” or even civil war. Reflecting on lessons of regional conflicts in the Middle East, the chief of the Russian General Staff, Army General Valery Gerasimov, emphasized the need to maintain permanent control over territory (including critical infrastructure and means of communication) as an antidote against destabilization and anarchy. 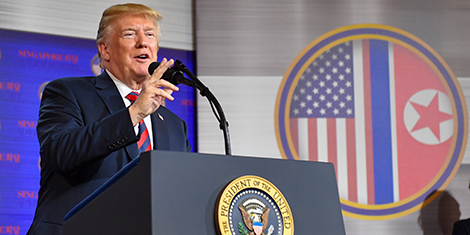 President Trump has insisted that national security is his top priority, repeatedly pledging to protect Americans and equip our military to be the most effective in the world. However, Trump’s failure to act decisively on climate change puts Americans at more risk than ever before. Having spent over 30 years in the U.S. Marine Corps, I’m acutely aware that climate security is national security, a fact recognized by both Republican and Democratic administrations. Since 2010, the Department of Defense has released dozens of reports confirming the urgent threat of climate change to our national security. American combat experiences since 2001 have revealed stunning military capabilities and repeated tactical successes. Yet the United States has failed to achieve acceptable and durable political arrangements that serve and protect its interests, suggesting that there are fundamental flaws in its approach to modern warfare. This approach has emphasized conventional models and tools, making little accommodation for a changing adversary and its evolution toward nonconventional means, and the United States has proven unprepared for what the National Security Strategy has recognized as "fundamentally political contests" combining political, economic, cyber, and military means. This YES edition reviews the actors, policies and institutions that underpinned the EU’s foreign and security policies in 2017. 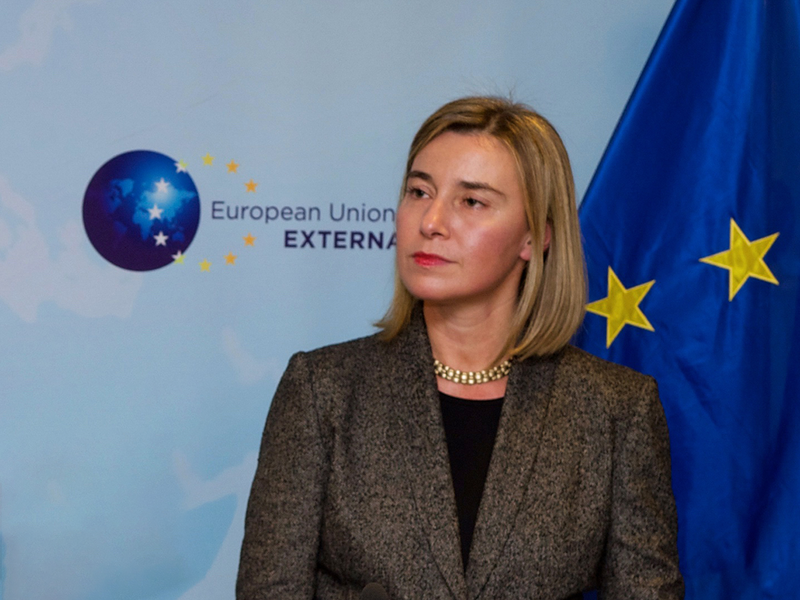 These include details about the organizational aspects of the European External Action Service (EEAS), EU partners, restrictive measures, geographic instruments, CSDP missions and operations, EU agencies and bodies and the European Defence Technological and Industrial Base. The volume also provides: 1) an overview of the work programs of the presidencies of the Council of the EU as they relate to foreign, security and defense policy; 2) narratives of the EU’s engagement with select countries and regions in its southern and eastern neighborhoods and the wider world; 3) an overview of new EU defense initiatives such as Permanent Structured Cooperation; 4) a review of European security in light of cybersecurity, and more. The White House's bellicose threats against Iran are not simply a foreign policy diversion to distract from growing scrutiny over the Russia and North Korea portfolios; they are part and parcel of the Trump administration's blunt drive for regime change in Tehran. As economic and social pressure in Iran intensifies under the White House's hard-line sanctions policy, the Iranian government will lock public anger onto external threats to curtail popular unrest. Iranian President Hassan Rouhani will steadily lose political ground to hard-line conservatives as his government is forced to increasingly rely on the security apparatus to contain dissent and circumvent sanctions. In an age when illiberalism appears to be gaining steam all around the world, one of the biggest geopolitical challenges for Asian democracies is to how best to deal with China’s rise. One of the answers to this conundrum is the Free and Open Indo-Pacific strategy, which Tokyo is promoting as a strategy to maintain the international liberal order in the region. 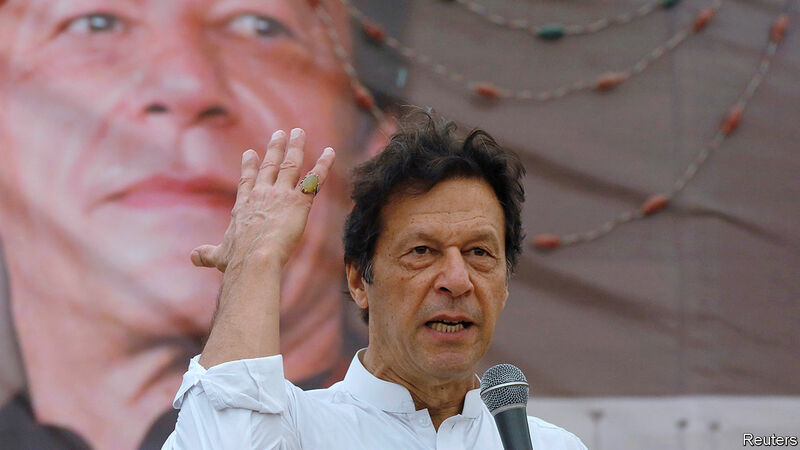 But the much talked about idea is running into trouble as of late, as India, one of the key components of the strategy — has been displaying mixed feelings about it. Last month at the Shangri-La Security Dialogue in Singapore, security experts were perplexed when Indian Prime Minister Narendra Modi — who chaired this year’s forum — made a tepid speech and even refrained from mentioning the Quadrilateral Security Dialogue, or Quad, which is comprised of democratic giants like the United States, Japan, Australia and India. 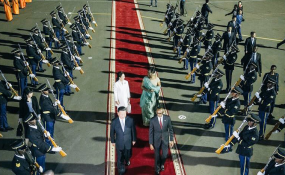 Chinese President Xi Jinping has inked more than a dozen deals with Rwanda as his "economic partnership with African countries" continues. The deals include loans and grants worth millions of dollars. Chinese President Xi Jinping signed 15 bilateral agreements with Rwanda on Monday while visiting the East African country, the second stop on a four-nation tour to cement relations with African allies. The agreements, the value of which was not revealed, focused on visa exemptions, strengthening mutual investment in e-commerce, cooperation in civil air transport, law enforcement partnerships and human resource development. They included loans for construction, hospital renovation and the development of Rwanda's new Bugesera airport. America professes to love its men and women in uniform, but the penalty for its reflexive use of indictments and sanctions – America’s standoff weapons used to avoid politics – against foreign militaries may one day fall on them, far away from the Washington, D.C. grandees and activists who created those policies. Recently, the U.S. government indicted Russian and Chinese intelligence officers for collecting intelligence and may soon sanction Iranian soldiers for soldering. Why? Officialdom’s stated reason is to “use all the tools in the toolbox” against America’s enemies, but it’s also a reluctance to engage with people one doesn’t like. More a matter of taste than a coherent policy. How will the soon-to-be-enacted NDAA alter the legal framework for military operations in the cyber domain? The House version of the bill would not have impacted this question much, but as I wrote here and here the Senate version had several interesting provisions. Well, those Senate provisions have now emerged largely intact from the conference process, and the John McCain National Defense Authorization Act for Fiscal 2019 almost certainly will become law soon. Here is the full text and accompanying conference report, what you need to know about how those cyber provisions turned out. If the United States were to fall victim to a large-scale cyberattack that took out critical infrastructure, the Department of Defense could turn to little-used authorities to assist federal civilian agencies with its response. 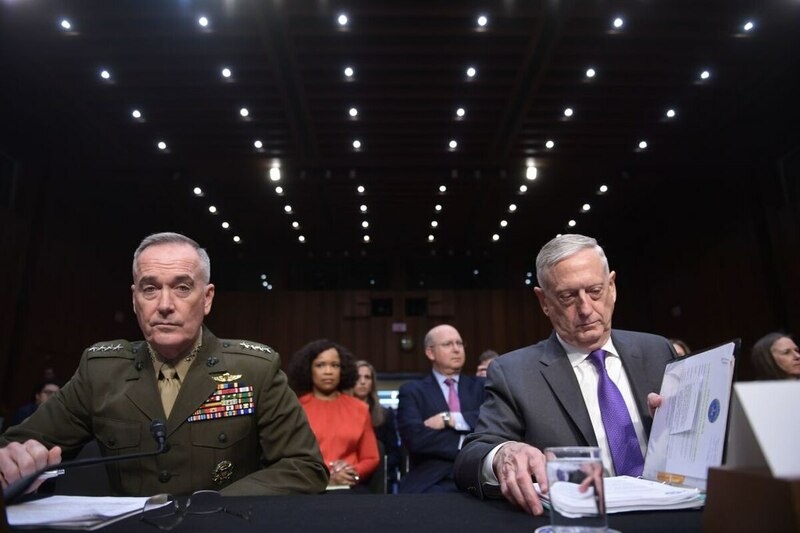 Under a proposal in a new conference report from the Senate and House Armed Services Committees’ annual defense policy bill, the Department of Defense must hold a high-level exercise and walk through how they would support civilian agencies. Such an exercise would include U.S. Cyber Command, Northern Command and other DoD organizations. The proposal in the legislation does not specific when such an exercise shall occur. Affirming the authority of the Secretary of Defense to conduct military activities and operations in cyberspace (sec. 1632) The Senate amendment contained a provision (sec. 1622) that would affirm the authority of the Secretary of Defense to conduct military activities and operations in cyberspace, including clandestine military activities and operations, to defend the United States, its allies, and its interests, in anticipation of and in response to malicious cyber activities carried out against the United States or a United States person by a foreign power and would clarify that clandestine military activities or operations in cyberspace are traditional military activities for the purposes of section 503(e)(2) of the National Security Act of 1947 (Public Law 80-253). This article is the latest addition to the U.S. Army TRADOC G2 Mad Scientist Initiative’s Future of Warfare 2030-2050 project at Small Wars Journal. “PFC Ramirez was nervous as he always was before training. He masked it well, but it was there. His squad performed exceptionally well during their last training operation, so he knew the Master Trainer would be adding some complexity to the environment this time. You never really know how that might present itself and that was the source of his nerves. It wasn’t made any better by the fact that most of these guys had hundreds, or even thousands, of hours in the gym and Ramirez had barely logged sixty in the weeks since graduating basic training. America’s military—engaged beyond capacity and in need of rebuilding—is at a crucial juncture. Its current “big-leap” approach to preparing for future conflict carries great risk in searching for revolutionary capabilities through force-wide commitments to major single-solution programs. The Heritage Foundation’s Rebuilding America’s Military Project (RAMP) recommends that the U.S. military instead adopt an iterative, experimentation-heavy approach that can achieve revolutionary outcomes at less risk through evolutionary improvements that build on each other until transformative tipping points are reached. Critical to this is a military culture that is immersed in the study of war and a force of sufficient capacity to prepare for the future while also handling current operational commitments. The U.S. National Defense Strategy calls for increased investments to “restore warfighting readiness and field a more lethal force” capable of defeating aggression by the nation’s most capable adversary states. This is warranted: War gaming and analysis done at the think tank Rand point to troubling trends in the capabilities of U.S. and allied forces relative to those of key adversaries. U.S. and allied forces today could not expect to be able to defeat a short-warning Russian invasion of the Baltic states. China’s growing military capabilities, combined with unfavorable geographic asymmetries, raise questions about the future credibility of U.S. security guarantees to Taiwan. U.S. and allied forces lack satisfactory answers to the growing threat of North Korean nuclear weapons and ballistic missiles.